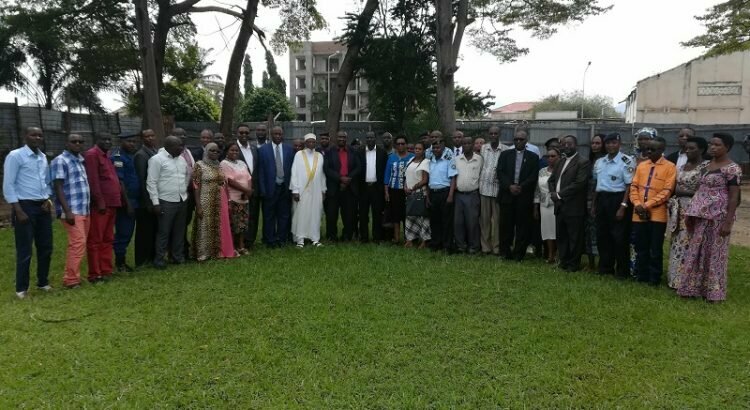 BUJUMBURA March 28th (ABP)–The chairman of the Truth and Reconciliation Commission (TRC), Ambassador Pierre Claver Ndayicariye, held, in Mukaza commune of Bujumbura City Council on Tuesday March 26, 2019, an information and exchange meeting on the law governing the TRC in Burundi and the management of wounded memories, for the representatives of the administration of that commune, political parties and civil society organizations, as well as representatives of religious denominations. The TRC chairman said that following the serious violations that have occurred in the past years, there are people whose memories have been hurt. That’s why, he said, the TRC seeks truth for the purpose of reparations and reconciliation, which helps in managing wounded memories, he explained. The non-free man is an unhappy man, said Ambassador Ndayicariye, adding that globalization has characterized the Burundian people for several years because of impunity and negative solidarity. Regarding the law governing the TRC, TRC Commissioner Déo Ndikumana said that the commission has the mission to investigate and establish the truth about serious violations of human rights and international humanitarian law committed from February 26, 1885 to December 4, 2008, the date of the end of the belligerency. It is also responsible for determining the nature, causes and extent of the above-mentioned violations; and publish the list of missing persons, murdered and those of victims and witnesses who speak under the cover of anonymity, Mr. Ndikumana continued to say. The commission also has the mission to propose a program of reparation by material, moral and symbolic measures; and promote forgiveness and reconciliation. According to the law, the TRC has the prerogatives to summon and listen to any person and to exploit any testimony and to access all information sources held by public or private institutions, he said. Mr. Ndikumana further indicated that the TRC has special protection measures for victims and witnesses who wish to do so, through confidentiality and anonymity. After the exchange of views, the TRC chairman asked the participants to be messengers, relays and ambassadors of the TRC so that people living in the Bujumbura City Council understand and know that it is from themselves that the TRC will collect the truth about the tragedies that took place in the country. The truth will be told by the witnesses and the still alive victims, he reiterated. Regarding the outgoing commission, Mr. Ndayicariye said that this commission has done a very important job. However, at the level of the hearing and depositions, there are many Burundians who did not have the opportunity to speak or to testify. The new commission should give them the opportunity to express themselves, across the country and at the level of the diaspora, Mr. Ndayicariye said. He further pointed out that the next phase will be to collect information from advanced resource persons (people of old age), who have witnessed the events, in order to adjust the working tools, i.e., the collection index card.